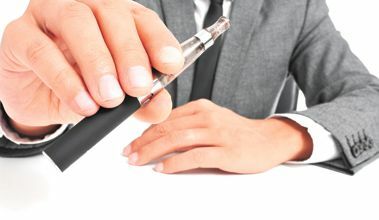 Regional airline LIAT has announced that e-cigarettes are prohibited for carriage in checked luggage on the airlineâs services effective immediately. E-cigarettes mainly use lithium cells to heat liquid nicotine into a vapour and these devices have, in some instances, overheated or caught fire when the heating element was accidentally activated. The FAA pointed to two recent incidents in the United States. In the first incident, e-cigarettes packed in a passengerâs checked bag in the cargo hold of a passenger aircraft caused a fire that forced an evacuation of the aircraft. In the second incident, a checked bag that had missed its flight was found to be on fire in a baggage area. Emergency responders attributed the fire to an overheated e-cigarette inside the bag. Meanwhile, LIAT noted that airport security in the territories in which it operates have not yet confirmed a unified stance on the carriage of e-cigarettes in carry-on baggage. It is therefore recommended passengers should not carry e-cigarettes in their cabin baggage either, so they donât lose their devices if the airport security decide to remove them. Should airport security across the territories subsequently allow e-cigarettes to be carried on board flights, LIAT would review its current recommendation, the release said.